Now that winter is creeping in on us, some of you will be heading out for ski trips and snowmobiling. While these activities are quintessential winter fun, we know there are some of you who refuse to put away your bait and tackle for the season. And for you, we have just the answer – a brand new Ice Castle Fish House. Rugged and full of the features to make a day on the ice a relaxing and comfortable experience, Ice Castle Fish Houses will give you and your friends a day on the lake like no other. With spacious floorplans and amenities like a three-burner range, refrigerator, cabinetry and enough fishes holes to ensure the perfect catch, you’ll find your perfect winter lake fishing companion in our wide inventory of Ice Castle models. With a range of floorplan options from the well-appointed Leech Lake to the practical and nimble Grandpas Hideout, we’ve got just the perfect fit for you. Love a day fishing on the lake, but enjoy switching it up with a little wandering? 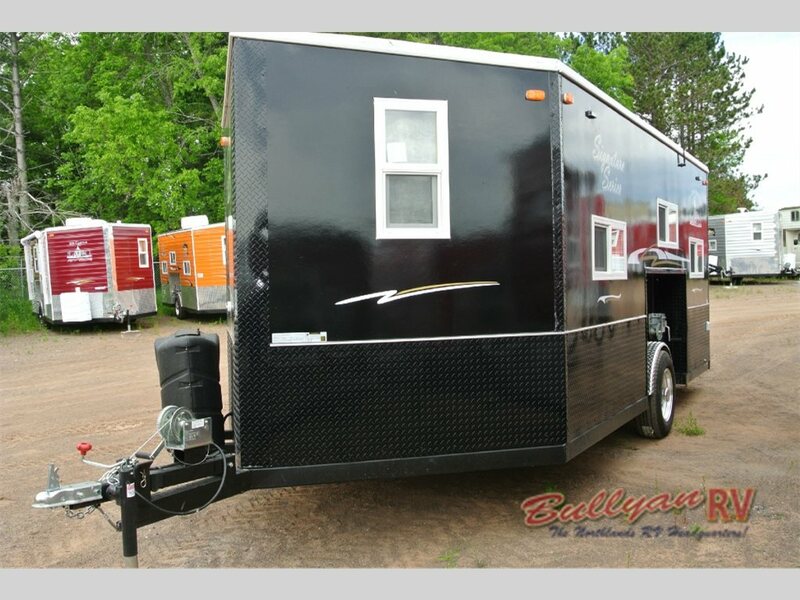 Then check out the toy hauler model for some extra space for you, and even more for your favorite toys. 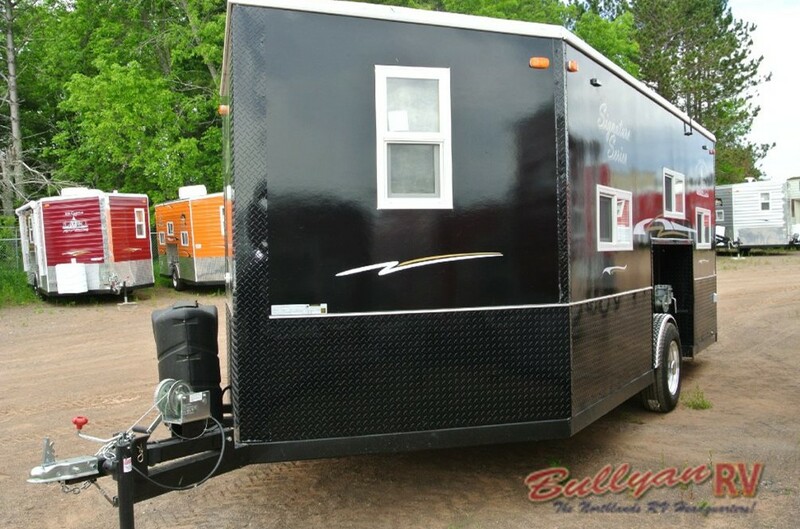 Load up your ATV and hit the road in this durable model that offers you a 48” electric lift bed, full bathroom with shower, 14’ power awning, and mini dome tracking satellite, all decked out in a timeless cedar interior. 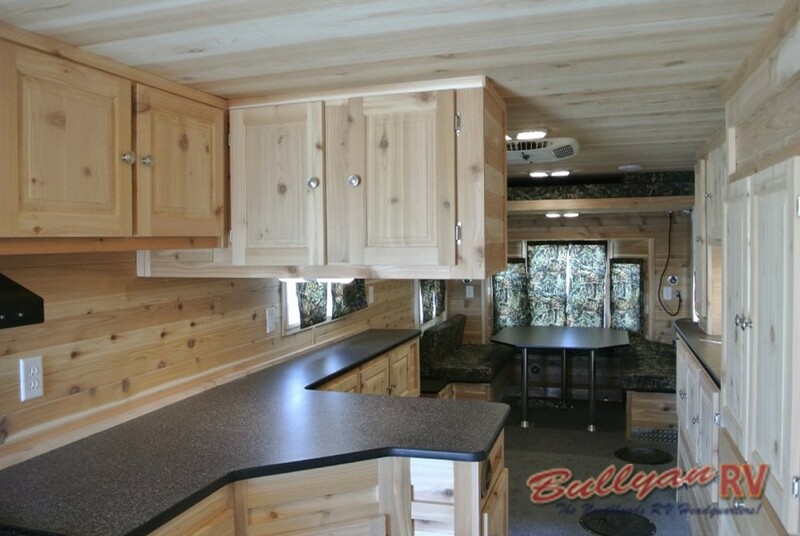 Beautiful, spacious, and equipped with 9 fishing holes, the toy hauler lineup is made for adventure. If it’s luxury you want, then you’ve got to check out the Northern Exposure. With plush furniture, flat screen bracing, surround sound and a mounted dome satellite dish, this is the icehouse made for long hours at the lake. Constructed with rubber flooring, a fiberglass exterior, and hydraulic lift system, this durable fishhouse offers you an easy tow and the durability to do what you love for longer. Constructed with thermopane windows, a one-piece galvanized roof, QWIK liner coated steel tube frames, and all-around stone guard, Ice Castle Fish Houses offer quality accommodations for winter nights on the lake. The long-lasting construction is standard, the big catch…well, that’s up to you. Visit our Duluth, MN location today to take a look at our inventory of this adventure-ready lineup today!